Cold weather packages by CSI Compressco include all standard package features plus those necessary to perform reliably in extremely cold environments. 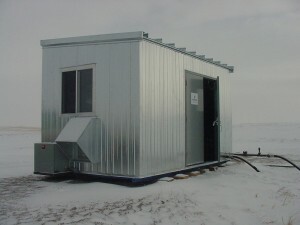 These portable packages which protect the unit with an insulated building feature. From indirect oil cooling to catalytic heaters to fire detection and suppression systems, CSI Compressco will work to design a package for the most extreme of environments. Consult CSI Compressco today with your specific application and we will work with you to custom design a compressor package operate safely and meet your specific requirements.